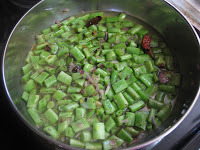 Wash and chop the beans to 1/2 inch pieces,pulse the coconut with green chillies in a blender without water.Cook the green peas till soft and tender if it is dried and soaked one. 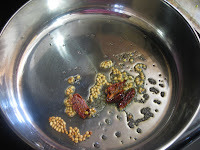 Heat a pan with the oil,crackle the mustard seeds then urad dhal and add the dried chilly,asafoetida.Saute the onions and curry leaves with a pinch of salt. Once the onion is transparent add the beans and stir it till it changes the color.Now add a cup of water and salt,cook it covered in a slow to medium flame till the beans get soft and tender. 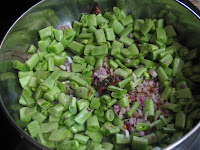 Add the green peas and give it a mix,finally add the coconut.Stir it for a minute and switch off the stove. 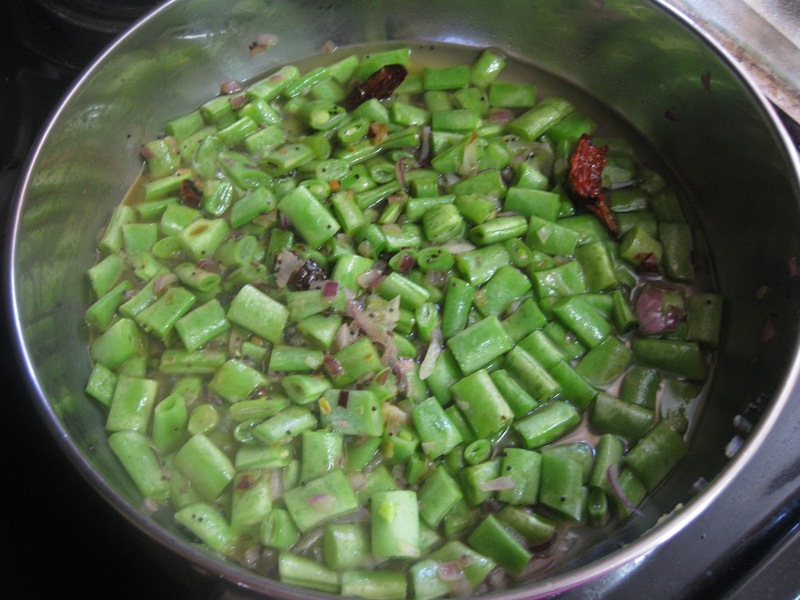 If fresh or frozen peas is used then it needs to be sauteed along with the beans. Adding coconut is purely optional but it gives a nice taste. 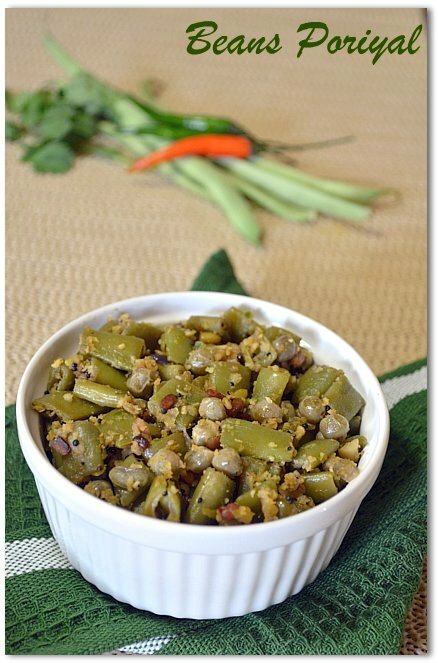 Instead of green peas cooked channa dhal or moong dhal can be used. 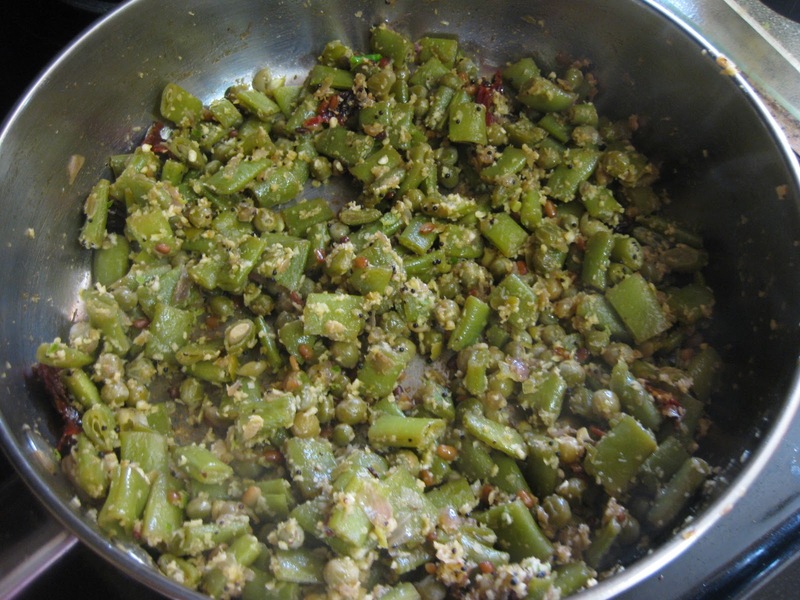 Nice poriyal..never added green peas with beans.looks yumm! Perfectly pairs with sambar rice. I never added green peas with beans. 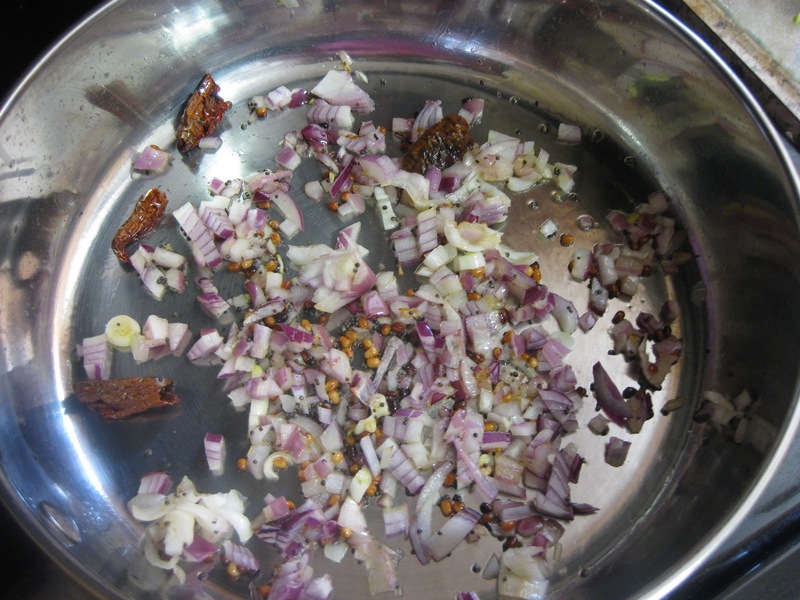 but I sometimes cook with moongdal as you said in notes. 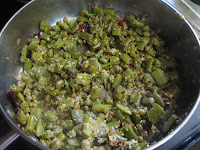 I like the addition of green peas..makes the poriyal so much more flavourful. Lovely! 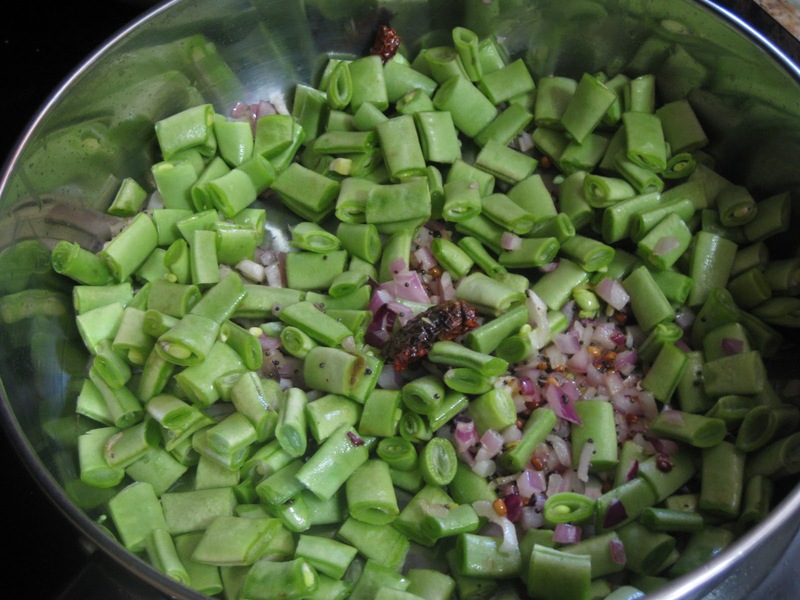 Very tasty and healthy poriyal recipe.. 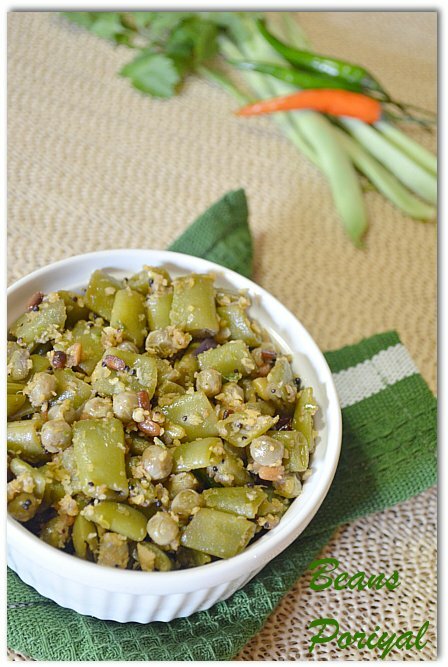 Very healthy recipe Nalini......& the clicks are superb. 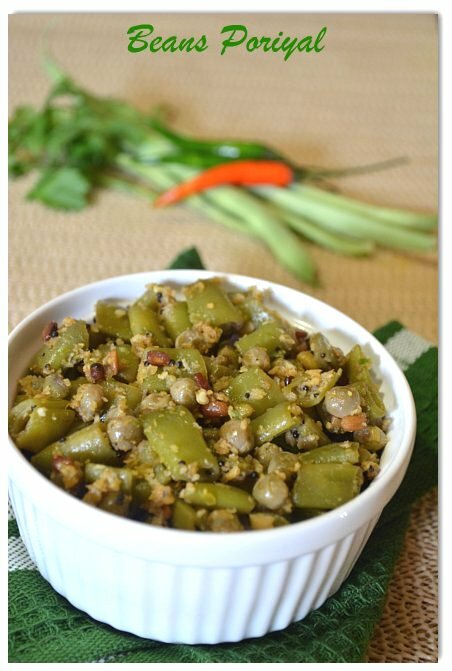 wow...beans poriyal looks inviting...i too didn't tried with green peas but i always add cooked moongdal...will try this sometime...thanks for sharing!! 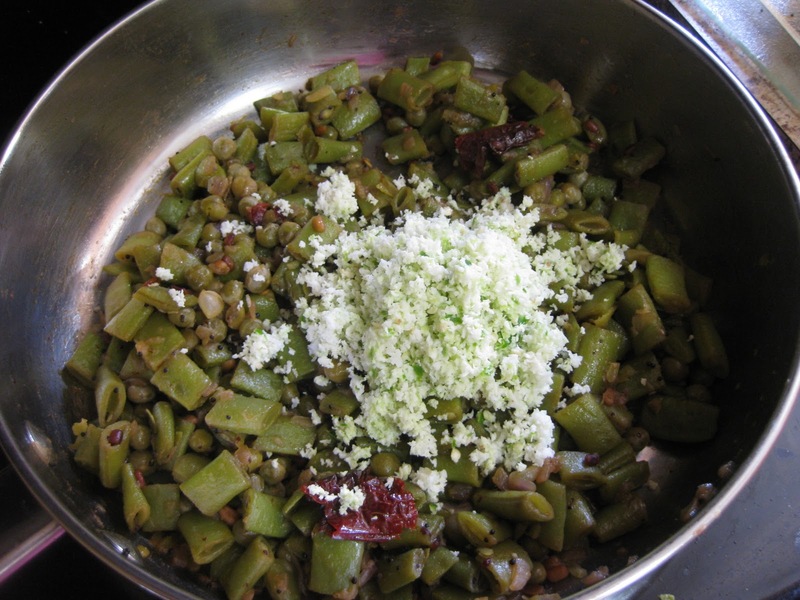 Simple and yummy poriyal, nice pictures. One of my fav poriyal,i can have it with anything. I have made bean curry with some dried coconut and spices... but not like this. This looks really delicious!! I love that you added dal into the seasoning and you mixed the beans with peas. I have never mixed them together... now you're tempting me. :) Wonderful dish!! Wow wat a delightful and super tempting fry.. Delicious n healthy beans poriyal, looks very tasty.